Redundancy and advanced testing are essential for any live video event. Here are five rules for live streaming that can help save the day. Facebook Live was the hot platform in 2017, and it's only going to grow in 2018. 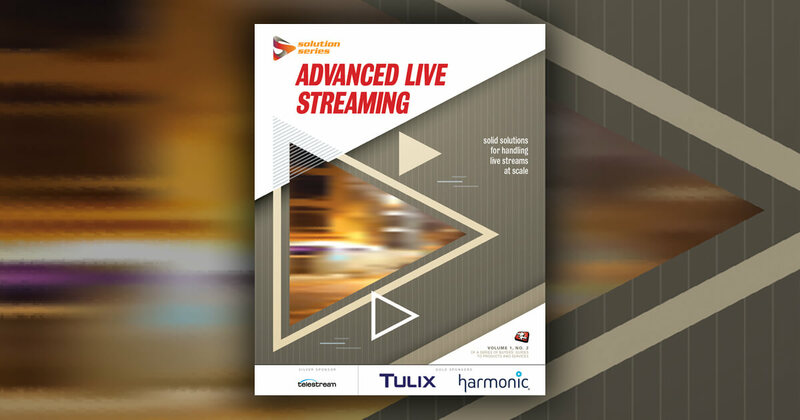 Here's helpful advice on how organizations can create perfect live video events. With mobile viewing on the rise, developers need to know about progressive web apps which offer an app-like experience through the browser. Looking for a vendor to create a video solution for a website? Do the vendor and yourself a favor by answering these questions upfront. They're guaranteed to save a few steps. An experienced online producer shares tips learned in the field for improving the look, lighting, and audio of live events both large and small. Do Off-the-Shelf Video Solutions Make the Grade for Elearning? When smaller educational organizations look for affordable online video systems, they don't find the features that come standard in advanced elearning platforms. Sites that plan to sell video online through credit card payments need to know about payment card industry (PCI) requirements, which can be stringent. While it's fun to be on the cutting-edge of new video codecs and formats, H.264 should be every publishers' primary focus for the time being. Videos on YouTube now default to HTML5 playback first, a decision that seems designed to attract headlines rather than solve problems. TV viewing is changing at a frantic pace, with younger viewers leaving pay TV and advertisers looking for a way to get their attention. Was Adobe's decision to remove FLV and F4V export from Creative Cloud the last gasp for Flash? No, and there are better tools around, anyway.